Wonderful displays of climbing roses and twining clematis are glorious this time of year. To achieve this, we need to plan the structures back in early Spring or late Autumn. 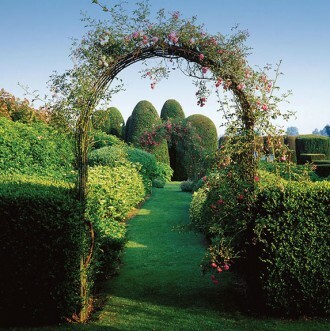 Our wirework arches are the ideal solution for height and plant support – just get in touch to discuss the details.